Fraudulent behavior in research is the ultimate academic gossip. It is hardly surprising that our post on Thomas Basbøll’s claim that management theory heavyweight Karl Weick has engaged in plagiarism (here) was one of O&M’s most popular posts in 2010. One of my own papers was once directly copied. All that was changed was the front page. In one of those strange coincidences, the journal editor asked my co-author to review the paper. The plagiarist was a consultant, not an academic, so it is possible that the case had no consequences for him. How prevalent is scientific misconduct in management research? And how strongly should we care? After all, what gets published in the management journals does not have the same direct impact as what gets published in the medicine journals, or what the UN’s Intergovernmental Climate Panel utters. While management research may not cure cancer, it likely has considerable impact on resource allocation, and therefore on what is available for curing cancer. Moreover, there are strong externalities: A reputation for “bad science” in one field or discipline may easily spill over to other fields and disciplines. Hence, misconduct should be regarded with as severely in management research as in other fields and disciplines. Some of Bedeian et al.’s examples of “questionable research conduct” seem somewhat open to interpretation and questioning (e.g., “developing ‘ins’ with journal editors” — in fact, the initiative for such “ins” often emerge from the editor side; “published the same data or results in two or more publications” — presumably, there is nothing necessarily wrong with publishing “the same data … in two or more publications”), and the procedure of asking faculty to indicate their “knowledge of faculty engaging in” research misconduct is questionable, as different faculty may relate to the same episode of research misconduct (they acknowledge this problem). Still, the numbers are quite striking. More than 70% reports knowledge of cases of not giving due credit to originators of ideas (i.e., plagiarism). Even more report knowledge of data manipulation, although only (?) 27% report knowledge of outright data fabrication. The Global Award for Entrepreneurship Research may not quite be the real thing, but it is Swedish, highly prestiguous, and 100k Euro is still quite a bit of money. The Prize is administered and financed by the Research Institute of Industrial Economics, the Swedish Foundation for Small Business Research, and the Swedish Agency for Economic and Regional Growth. Earlier recipients include Joshn Lerner, David Audretsch, Scott Shane, William Baumol, and Israel Kirzner. Steven Klepper has made significant contributions to our understanding of the role of new firm entry in innovation and economic growth. His work is theoretical and integrative, firmly rooted in empirical observation of historical innovative processes, focusing on explaining “empirical regularities.” Klepper’s work integrates elements of traditional neoclassical models with evolutionary theory, bridging some of the gaps between neoclassical and evolutionary theory and between entrepreneurship research and mainstream economics. 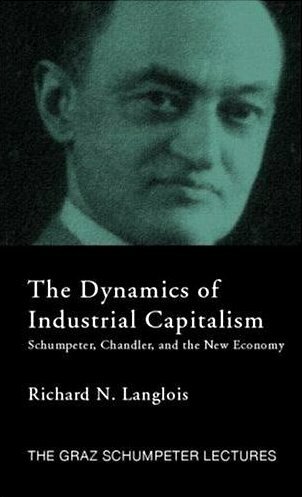 In looking at the evolution of industries, Klepper explores regularities in the time paths of entry of new producers, exit of incumbent firms, industry output and price, and the rate of product and process innovation. 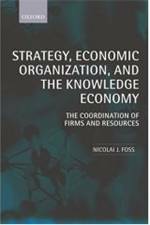 To explain these regularities, he develops theories that feature differences in firm capabilities and the advantages of large firms in appropriating the returns from their innovative efforts. The theories are also used to explain differences in firms’ innovative efforts, the composition of their innovative effort and their innovative success. His work is founded on systematic longitudinal empirical analyses requiring massive, detailed, and painstaking collections and analyses of historical data on firm entry, exit, size, location, distribution networks, and technological choices. The focus is on the function of new firms in industrial growth as well as the background and heritage of new entrants, particularly as reflected in spinoffs from existing firms. A California university professor has been charged with peeing on a colleague’s campus office door. The Los Angeles Times says Petrov was captured on videotape urinating on the door of another professor’s office on the San Fernando Valley campus. School officials had rigged the camera after discovering puddles of what they thought was urine at the professor’s door. First, management innovation will become more collaborative. Opening up the innovation process will not stop with accessing external ideas and sharing internal ideas. Rather, it will evolve into a more iterative, interactive process across the boundaries of companies, as communities of interested participants work together to create new innovations. . . .
Second, business model innovation will become as important as technological innovation. . . . Third, we will need to master the art and science of innovating in services-led economies. Most of what we know about managing innovation comes from the study of products and technologies. Yet the world’s top advanced economies today derive most of their GDP from services rather than products or agriculture.